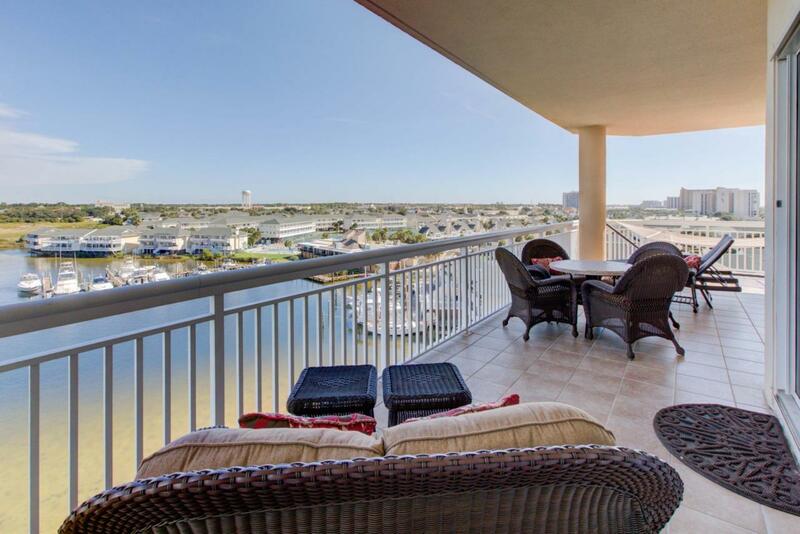 Unit 504A is a private East End unit with wrap around covered balconies and endless views of the Harbor and Gulf. This location is ideal to watch the sun rise and set! Master suite with sitting area faces Harbor with door to covered deck. Huge chef kitchen. Grand living/dining. Over $80,000 of top of the line Tommy Bahama furnishings can be purchased separately. Family uses as a second home and has not rented this unit. 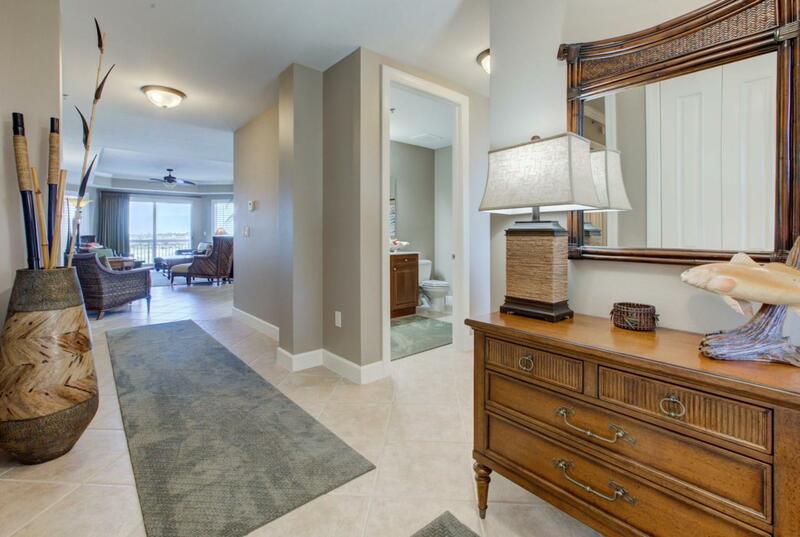 Exclusive community is gated for the utmost in security and privacy. Lavish grounds. 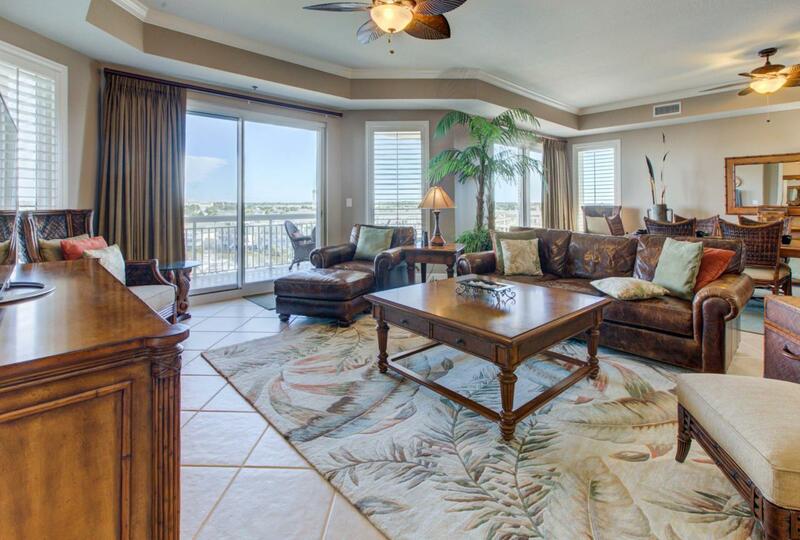 Catering to your upscale lifestyle is the heated pool, hot tub, waterfront cooking pavilion and beach access. 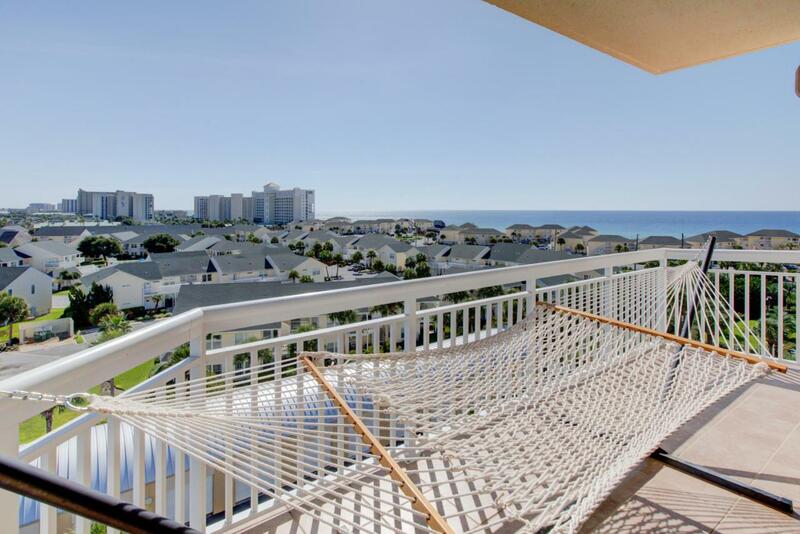 Enjoy your paddle board or kayak or minutes walk to the fabulous white sandy beach. Boat slips and garages are available for separate purchase.